Our tractive units are replaced every 3 to 4 years and are serviced and maintained rigidly to ensure maximum up time. The Claas Arion can is practically equipped, economical in operation and can overcome the most difficult of tasks. 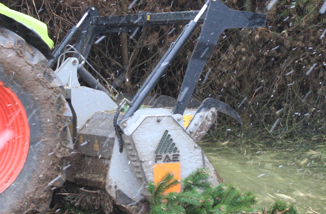 Versatile and efficient, these forestry mulchers have a fixed tool rotor powerful enough to take down and mulch trees up to 12" thick. Due to these characteristics, they can meet the specific requirements of any kind of mulcher hire or vegetation clearance work. Coupled to a powerful modern four wheel drive tractor with creeper gears, these machines guarantee optimal performance making light work of the most dense cover. The machine will clear all kinds of plantation, gorse, trees and heather leaving a clear level surface for planting or sowing. 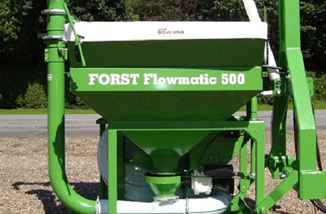 Designed specifically for tree plantations the Forst Flowmatic throws the fertiliser high in the air allowing it to rain down evenly around the base of the trees and across an area from 12 to 24 metres. This operation offers a very efficient application reducing waste and only fertilising the areas required. 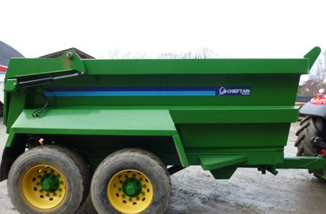 The Flowmatic can be idea for many special applications where conventional spreaders cannot reach such as high bankings and over fences and hedges. 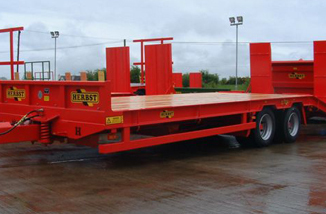 We can offer for hire our New Herbst 15ton Low Loader trailer, ideal for many uses. We also utilise our dump trailer for many jobs including creating roads and tracks in and around tree plantations. 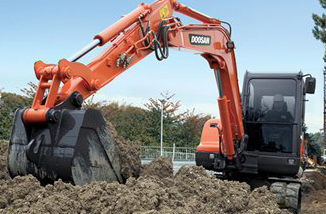 We have at our disposal tracked excavators from 5.5 to 8 tons. Working along with these machines we can create plantations, tracks and roads, hard standing and complete drainage systems.